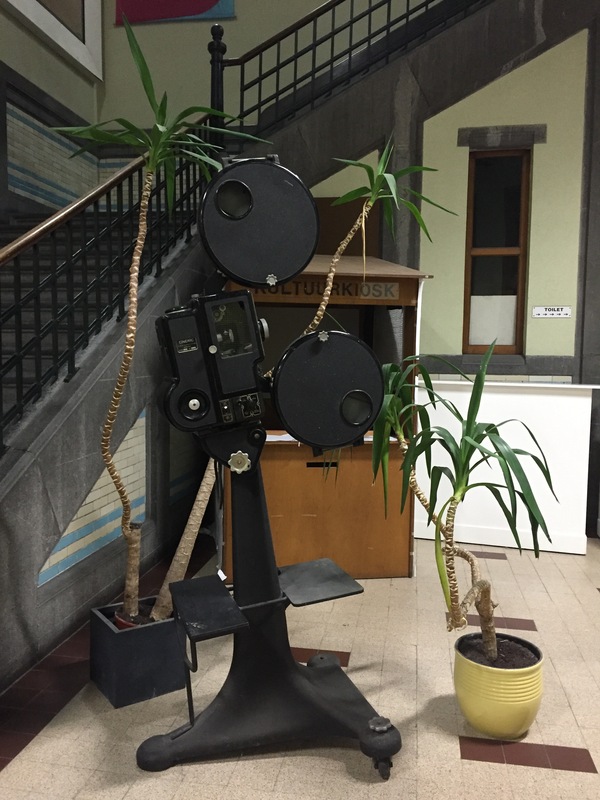 December 17, 2015, found cinema section in the Koninklijk Atheneum, Léon Spilliaertstraat 31, Ostend. In "Project for a Film," (1948), Marcel Broodthaers writes: School is out. The teacher stumbling along plunges into a bush. OPENING is the title of Marcel Broodthaers’ fourth Open letter, dated Ostend, 7 September, 1968, and first published in the section Musée, expositions, revolution et biographie imaginaire (named and edited by Isi Fiszman) in the publication Museum in motion? (1979). The line with 9 words (3x3) is typed 8 times. Ostend. The English are very interested in sand. Extraordinary continent. North Sea. This mirror the trunk is to cross. Traveling aboard a wardrobe in the company of clothes. Unbearable passengers, you are neither birds nor fish. Maritime impression: nil. Collection of identical waves. Monotonous painting. A book suggesting image as function. A book suggesting the text as function. related to classic cinematographic movement.